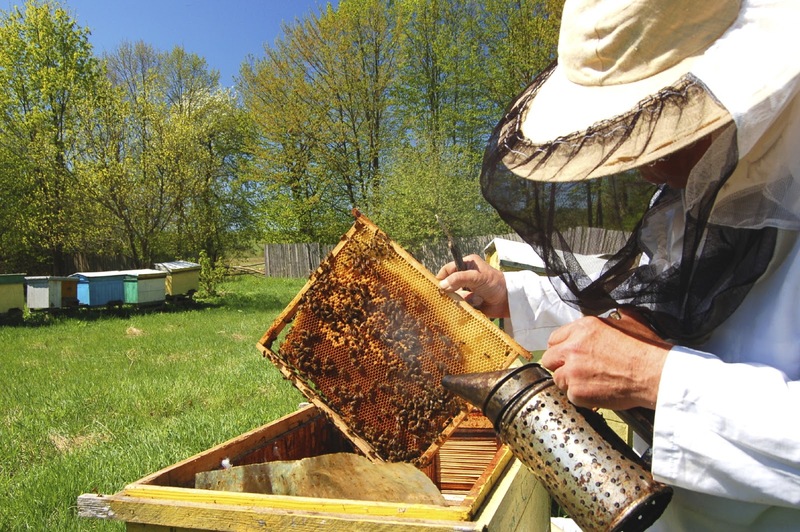 Wondering how to start a beekeeping business, but aren’t sure where to get started? We created this scalable guide covering all the essentials to help you get started, along with tips for creating your actual beekeeping business plan. If you’re new to the world of beekeeping, keep your day job while you build your colony up and learn the ropes. Starting a beekeeping business in this risk-reducing manner is one of the advantages of the trade. Bees venture out of their colonies only to collect nectar, pollen, food, and water, but beekeeping will require you to interact with them regularly. They thrive in any state that provides an abundance of sweet blossoms such as clover, orange, alfalfa, avocado, blueberries, buckwheat, sage, and wildflowers. Start-up financial costs for supplies are minimal, but developing a business plan requires a commitment of time. A beehive is the first item to acquire. Bees prefer a lived-in home instead of a new one, and you can find a used hive where bees have lived for a year or more. 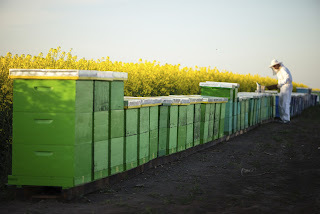 Some experts recommend starting with two hives in case problems occur in one, but you can progress with or without a second. If you don’t have access to a lived-in hive, here are some solid choices for getting started. To protect your head from bee stings that are quite painful, you need a veil and a hat. Some hats have the veil attached, but you can also use a wide brimmed hat. A smoker helps relax the bees when you open their hive, and keeps them from activating their defenses. Dry wood chips from a fallen tree are ideal for creating a smoldering smoke. Avoid using sawdust from treated wood! If you have a 10-inch pry bar on hand, you can use it as a tool to open the hive, or you may prefer to buy a hive tool. Either may come in handy to scrape a bee stinger from your skin should you need to. Removing the honey from the hive requires a bee brush, an escape board, and a bee blower so that you can access the combs. The brush lets you sweep the bees aside, and the escape board gives them a place to go while you remove the super that holds frames of honey. As a beginner, you may want an experienced beekeeper to extract the honey from the super. Wrapping the hive in insulation during the cold and wet winter months helps keep bees warm and preserves their energy. A layer of tar paper provides protection from rain, snow, and wind. It also allows the sun to warm the hive and lets moisture escape. A bee suit covers your body except for your hands, and you need beekeeping gloves for them. As a beekeeper, you can expect to receive at least a few stings until you learn how to keep the bees calm when you open the hive. The material in a bee suit is usually a light color that does not attract bees. A loosely fitting suit allows air pockets to separate you from a bee’s stinger. Bee suits often include a hat and veil. Paris Farmer’s Union offers Tyvek beekeeping coveralls for $29.99. Preliminary steps in setting up your beekeeping business may require complying with legal matters such as local ordinances. Obtain a business license if your municipality requires it. You need to check with your insurance agent about potential liabilities. 1. Locate hives and bees. In the spring, look online for a directory of local suppliers of bees and hives. The one that is closest to your location is probably the best. 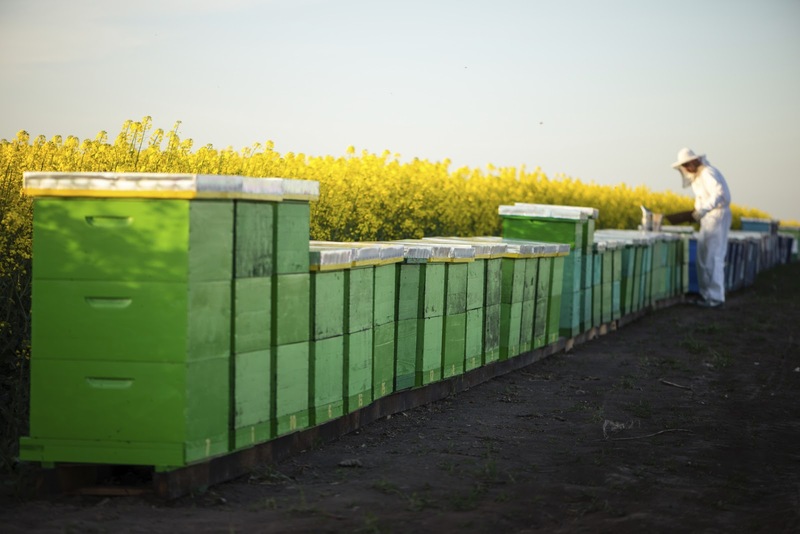 If you can arrange to pick up the bees, you can limit the stress they experience from a commercial delivery service. Keeping them calm during travel reduces stress and helps them acclimate to their new surroundings. Meeting a local beekeeper gives you an opportunity to ask for guidance, and most beekeepers are willing to share their experience and advice. Local or online dealers can ship a starter kit with all of the equipment that you need, and you can find an initial set of bees as well. It usually includes three pounds of bees and one mated queen. Screened in and unable to escape, they cannot sting you or your postal delivery clerk. You are likely to find a can of food (sugar water) in the cage that sustains the bees during travel. Until they have access to nectar and water, you need to continue feeding them in this way. Take a beekeeping class or read lots of books. Classes typically include instruction about basic hive equipment, how to inspect a beehive, finding the queen, recognizing pests and diseases, managing seasonal changes, and avoiding stings. Meeting others who have an interest in beekeeping can enhance your enjoyment of your adventure. Links to further reading resources and our favorite beekeeping book are at the bottom of this post. Winter months allow time to prepare your bees to collect nectar as soon as it begins to flow. Queens start laying eggs in January to develop a workforce, and you may need to provide sugar syrup (one part water and one part sugar) to build up the strength of the workers. By mid-February, you need to inspect the hives on a day when temperatures are at least 45 degrees Fahrenheit. Administer supplements and medications as needed early enough for your bees to assimilate the ingredients well ahead of the start of nectar flow. Look for signs of overcrowding that can cause swarming, an event that reduces colony strength. As your queen ages and produces fewer eggs, you can replace her with a younger and more prolific egg layer. Attending a class of first-time beekeepers can help you avoid pitfalls and achieve a healthy and productive colony. Preparing a business plan requires you to put your ideas on paper, and it serves as a roadmap across uncharted territory. Fortunately, you do not have to figure out how to do it on your own. Going on a road trip without a map can take you to places where you do not want to go, and a business plan can make sure that you can reach your destination. You may envision your business as a hobby that you can financially support or as one that is a major enterprise requiring investors. Developing a business plan gives you a basis for deciding its future and the likelihood of its success. Online resources such as this educational resource from Mississippi State University can give you the advice that you need to create a solid business. 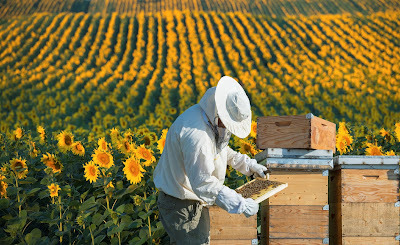 UC Davis also has a great overview on starting a small beekeeping operation, including items you’ll need and how to calculate your startup cost. If you want to start your beekeeping business, but don’t have a colony or much experience, start small! An established colony scales up later with relative ease.